HONG KONG - Eight beluga whales jump in unison out of a bright blue indoor pool, flipping their tail fins and spewing water as a packed audience cheers and snaps photographs. Whale shows like the one at Chimelong Ocean Kingdom, located in Zhuhai on China’s southern coast, are proliferating at new marine parks across the country, driving demand for threatened species. Orcas and beluga whales are among the marine animals caught up in a shadowy trade in which individual cetaceans — often caught illegally — sell for millions of dollars, according to scientists, executives and activists. 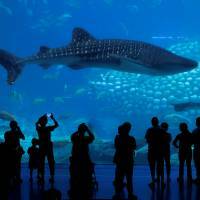 Marine parks and aquariums are opening monthly in China, with more than 36 large-scale projects set to launch in the coming two years. This comes as many live animal shows in the United States and Europe are being scrapped due to widespread opposition. “We’ve had great progress in shutting down marine parks in the West, but China is saying, ‘It’s my turn now,’ ” said Ric O’Barry, founder of the Dolphin Project, an advocacy group. Lured by booming domestic tourism, companies such as Haichang Ocean Park, Guangzhou R&F Properties, Dalian Shengya and Chimelong Group are spearheading the rapid growth of the industry. Haichang’s Shanghai Ocean World, which is due to open in November, and Chimelong’s Ocean Kingdom are preparing live orca shows for the first time in China. O’Barry, who captured and trained dolphins and orcas before launching a campaign against captive marine mammals in 1970, said China is the main driver of the industry globally. Over 60 marine parks already operate in China, ranging from large-scale developments like Chimelong’s Ocean Kingdom, to small facilities that are typically add-ons to big property projects. Cities often initiate marine park projects as an eye-catching way of raising their profiles, and offer developers vast tracts of land and cheap loans to build them. Noble Coker, president of Apex Parks and Entertainment Services, which works with theme parks in Asia, said marine facilities are often a secondary consideration in an overall deal to acquire land from municipal governments. Developers benefit from the quick development and sale of residential or commercial property, he said, with elements like marine parks typically paid for by the property sales. “All of the incentives for the developers are in the short term, so the 20-year moral and ethical impacts of the park or aquarium they are building are rarely, if ever, considered,” said Coker. Since 2014, 872 cetaceans — which includes whales, dolphins and porpoises — have been put into captivity in China, according to the China Cetacean Association. There are currently no local government regulations or international standards to monitor the trade, said Lucio Conti, vice president for marine facilities at Atlantis Sanya, a resort located in southern China’s Hainan province. Conti said Atlantis is working with the government to establish an animal welfare standard at a time when there is growing illegal trade of endangered wildlife. 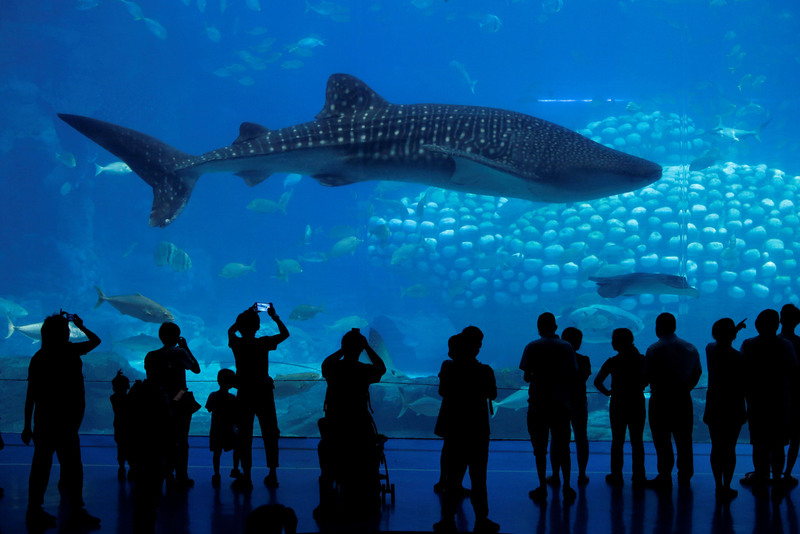 Many Chinese marine parks feature whale sharks, belugas, dolphins and manta rays. But no orcas — or killer whales — have been displayed publicly up to now. At least 13 Russian orcas were imported to China between 2013 and 2016, according to CITES, the Convention on International Trade in Endangered Species. Another two were sent in 2017, and more are set to be imported this year, according to Oxana Fedorova, head of Dolphin Project Russia. CITES did not reveal the companies involved. Whale and Dolphin Conservation, a U.K.-based group, said Chimelong Ocean Kingdom possesses nine orcas, Shanghai Haichang Polar Ocean World has four and two more are at Wuxi Changqiao Ocean Kingdom. R&F said its planned resort will only include wild captured cetaceans if they had been rescued or came from reputable zoos and aquariums. Russia, which is the sole supplier of wild orcas and beluga whales to China, in July announced an investigation into the illegal sale of seven orcas. Four companies were involved in the sale of the orcas to China, according to a statement from the Russian Prosecutor General’s Office. It did not name the companies or their destinations. Russia approved a capture quota for 13 orcas in 2018. Several killer whales have already been caught in Russia’s Sea of Okhotsk, said activists monitoring the hunt in August. “The problem is the demand that is being created in China,” said Fedorova, who worked with the team, organized by Ocean Friends. She said the team of seven had been threatened, shot at and robbed by the hunters. The activists said they were unable to record the captures on film because their drone was shot down. Naomi Rose, a Washington-based marine mammal scientist at the Animal Welfare Institute, said the captures are unsustainable and inhumane. She added that the prospect of high profits will continue to attract a criminal element. Once in captivity, the rate of mortality is extremely high, said activists. This forces companies to continually buy animals. “They just suffer in captivity. Especially for orcas — they are the most unsuitable to be put in a tank. Their culture is in the wild,” said Taison Chang, chairman of the Hong Kong Dolphin Conservation Society. Squalid conditions and poor welfare practices are growing concerns amid the increasing flood of marine parks. In June, for example, an online video showed a trainer from Ocean World in China’s port city of Dalian applying bright-red lipstick on a beluga whale. The company later apologized and promised to strengthen the animal protections. Activists worry that once China’s biggest players start orca performances, it will spawn a copycat effect at smaller, less experienced parks around the country.